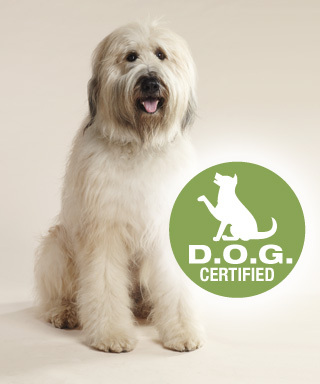 If our dogs LOVE the products and we KNOW the products to be healthy and safe, then why not certify them as so? Our artisans and manufacturers work diligently to ensure their products meet Dog’s Best Collection’s exacting standards at being the very best. The bottom line is that we offer products that, “Do Only Good” for man’s best friend, and have earned the right to be Dog’s Best Collection D.O.G. CERTIFIED. For you, our clients, this certification confirms that you are buying the highest quality, safest, most exclusive, made-in-the-USA, nutrition, lifestyle, and health products available on the market today.